This is my first Mary Kate Andrews book and I can see why people love her books so much , she has a way with words that brings to life the story as well as her characters, and blends the past and the future together .Her stories show what life was like back in the 1941 and how four girls came together as friends and keep a dark secret from everyone including each other . With this story she creates a tale that is suspenseful, emotional , and hopeful, with plenty of surprising twists that is non stop from begging to end. You see secrets bright to life that was meant to be kept in the dark and as this secrets come out you see how they play a role in bring together new friends and family . But not all of it is dark or gloomy there are parts that are funny as well and those part lighting up the dark ones . 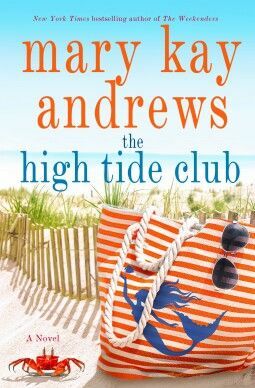 So with this said I would love to think Netgalley as well as the publishers for giving me a chance at reading and reviewing The High Tide and finding a new author to read in change for my honest opinion.